You are encouraged to bring a batch of your favorite holiday cookies to share with others. There will be paper plates and saran wrap so you can build yourself a little cookie plate to splurge on throughout the next week. Yummy!! You are also encouraged to bring some cans of food to be delivered to your local communities homeless shelter. 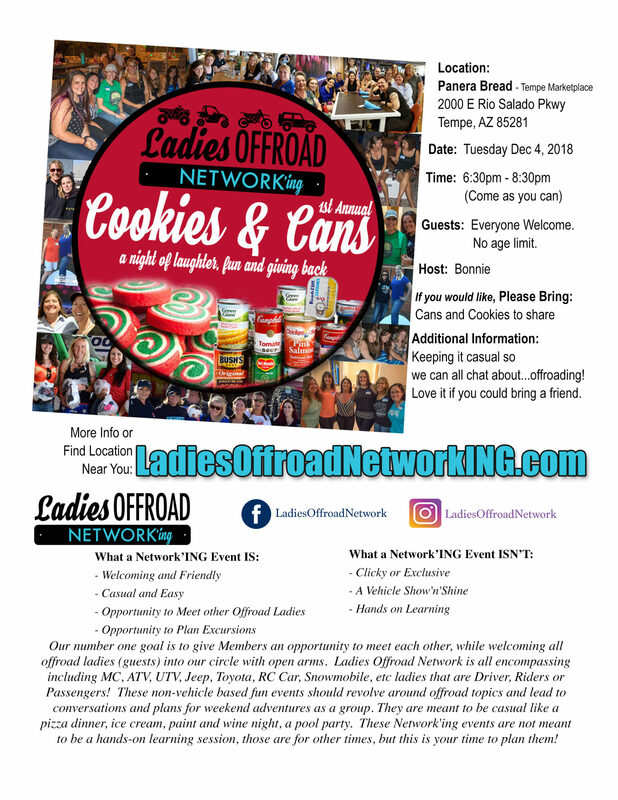 Ladies Offroad Network is committed to Giving Back, this is just one of the many opportunities that we have created to support your local community. 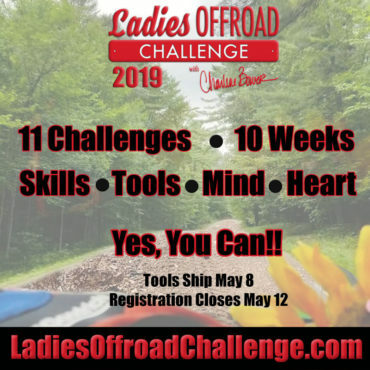 Past that, we are there to chat, have a great time, and learn about each other from an Offroading perspective. EVERY Offroad Lady is welcome to join! Come after work without hesitation of what "you are driving" or "what you are wearing". 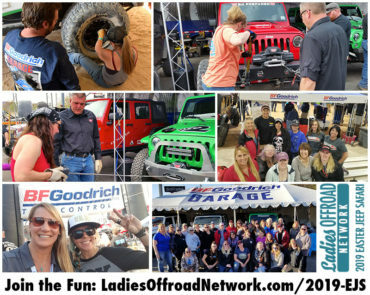 End the year getting to know new offroad ladies that can catapult 2019 into the dirt!